For the latest designs in modern deck cover awnings, a patio awning, aluminum and glass roof coverings or a free-standing pavilion for the exterior living areas of your home, contact Mr. Cover All in Surrey, BC. These experts will guide you to selecting the ideal outdoor coverings to protect and enhance your home. Retractable Awnings – These popular open, jointed-arm, retractable awnings are convenient and versatile since their inclination angle is adjustable, enabling them to be adapted to suit different weather conditions and homeowner preferences or needs. The main drawback of this type of terrace, deck or patio awning installation is its fabric composition, which is susceptible to damage during high winds and storms. 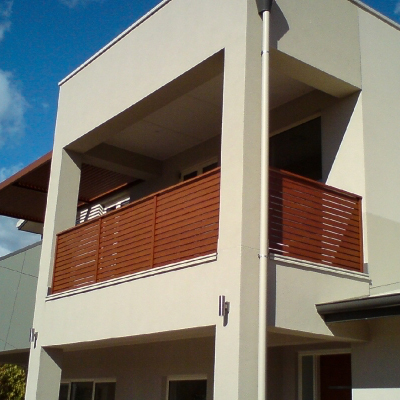 These terrace or deck cover awnings should be mounted beneath a balcony or protruding area of roofing and retracted during extreme weather for long-term use. Cassette and Vertical Awnings – Cassette awnings are actually a top-quality design of jointed-arm awnings in popular use today for shading home exterior areas of all styles. They are formed by an aluminum cassette that resists corrosion while protecting the patio awning fabric, hardware and any electrical components from moisture, stormy weather and dirt accumulation. Vertical deck cover awnings are most often used to create facade shading and for decorative effects. Glass Roofs – A clear glass roof can be an ideal patio, deck, terrace or balcony cover for homeowners who want a stable, protective roof system that will allow them to enjoy using garden furniture and grills during all seasons of the year. These stunning roofing systems have a sturdy aluminum structure to support the strong glazed glass roof with options like a vertical front shading extension, side glazing and privacy screening as needed. Free-Standing Pavilions – For homeowners who cannot install an awning or glass roof by mounting it on a façade, a patio pavilion designed with a modular aluminum or glass roof system and multiple expansion options can be the ideal solution. These pavilions are fashionable and offer excellent all-seasons weather protection. Treat yourself and your entire household to the comfort and convenience of automation and remote control for your home retractable deck or patio awning installations. With use of a reliable electric motor, awning fabrics will maintain both smooth surfaces and high tension while opening and closing with ease. Wind sensors will auto-retract jointed-arm or cassette awnings during blustery weather. If you select a sunlight sensor for use with your awing system, your overhead covering with automatically extend whenever sunlight sends direct heat and glare toward your deck, patio, terrace or balcony area. Your beautiful new retractable awning systems can be operated easily by remote control or smartphone app. For highly attractive retractable awnings and alternative outdoor coverings for your home, contact the experts at Mr. Cover All in Surrey, BC by phone, by email or by filling out our free quote form.